Statistics show that taller, narrow vehicles are more likely to be involved in a rollover accident. More than 10,000 American lives are claimed each year in fatal rollover crashes, many of which involve excess speed, dangerous highway conditions, road debris, reckless and drunk driving. Louisiana rollover accident attorney Bart Bernard offers expert legal representation to residents throughout Lafayette, Baton Rouge and the Lake Charles area. If you or someone you love has been harmed in an SUV or truck rollover, learn more about liability issues and your rights to compensation under the law. Rollover crashes account for 33 percent of all fatal motor vehicle accidents in the U.S.
With rollovers less likely to occur, sport utility vehicles presently enjoy one of the lowest crash death rates and are considered safer – pound for pound – than larger passenger vehicles. The Association for the Advancement of Automotive Medicine conducted an evaluation of rollover crashes, finding that nearly nine percent involved large trucks. Known for their high center of gravity, heavy trucks are more prone to be involved in serious rollover crashes, but even lighter pickup trucks are not immune to crash risks. The NHTSA has found that rollover rates are higher for light trucks compared to passenger cars. Rollover accidents, whether involving passenger cars, SUVs, vans, trucks or buses, are especially dangerous considering the dynamics involved. The bulk of rollover crash victims suffer multiple catastrophic injuries, with neck and head injury being the most prevalent. These debilitating injuries can carry long-term effects for survivors, including problems with memory, speech, hearing and motor control, as well as cognitive impairments associated with brain injuries. Medical and hospitalization costs can easily climb into the hundreds of thousands of dollars, placing extreme burdens on victims and their loved ones. 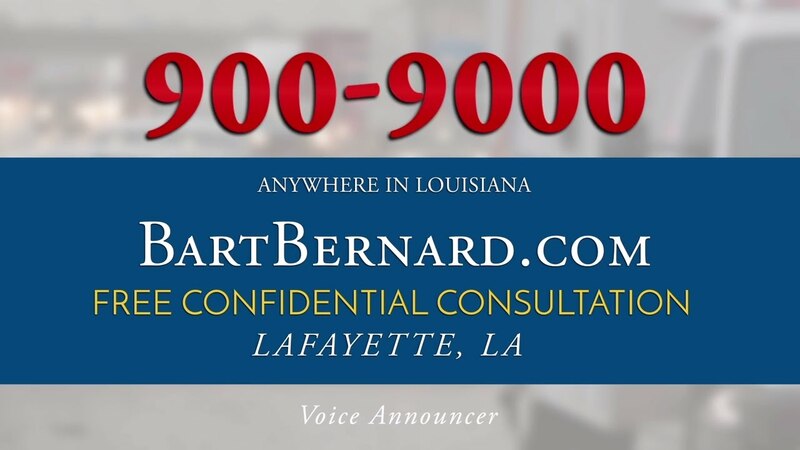 Attorney Bart Bernard has dedicated his professional career to protecting the rights of all accident victims throughout Louisiana, and works tirelessly to uncover the truth in rollover crashes so that responsible parties may be held accountable. Offering attentive, compassionate legal guidance, Bart Bernard handles all aspects of litigation – from discovery and pre-trial preparations to settlement negotiations with insurance carriers– letting victims recover and focus on their health. Although many single vehicle rollover accidents are caused by driver inattention or error, others are caused by vehicle malfunctions, road debris, poorly maintained roads, defective auto components and other factors. Potential defendants in a rollover accident lawsuit include other vehicle drivers, auto manufacturers, government municipalities and truck cargo loaders. As a highly experienced car accident lawyer, Bart Bernard can determine which party or parties may be held liable and whether civil action is merited. Partner with a legal advocate who is results-oriented and always fights for maximum compensation under the law. Before speaking with an insurance company about a rollover accident, call The Bart Bernard Injury Lawyers for a free, no-obligation case review. Call our Lafayette, Baton Rouge or Lake Charles offices today to schedule a consult and find out how much your claim is worth!